We love any chance we can get to explore careers with little learners. So, we’ve created a book list that features exciting work opportunities with bright and capable girl characters! And — for families with boys — don’t shy away from this list of books for your sons! I’m the mom of a six-year-old little guy, and The Watcher (scroll down to read more about it) is one of his very favorite books. Personally, I want my son to know that girls and women can be amazing role models for him. Indeed, I like to think that I am one of those role models (on my best days, at least). It’s never too early to talk about career paths — or start playing with our ABCs! 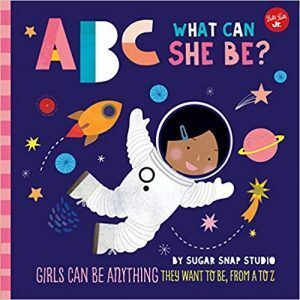 This book shares a range of careers to tiny readers. And it introduces letters at the same time. From deep sea diver to interior designer, your little one will have the chance to consider many job options. Children love the bold colors and rich language. Families love the chance to extend learning by talking about people they know who do those jobs! 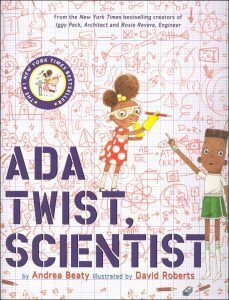 From the same duo who wrote and illustrated Iggy Peck, Architect and Rosie Revere, Engineer, Ada Twist, Scientist shares how curiosity and grit help one girl understand how things work. Kids love that the main story in this book focuses on a very, very stinky smell. Fans of STEM education love how it’s packed with science thinking. Observation, questions, educated guesses and exploration guide Ada’s story. Why we love it: It’s not a book about an amazing role model (though we love those too, as this list shows). Instead, Ada Twist shares how one girl uses science to explore her own world. Bonus: The publishers have free downloadable activity sheets to go along with the book! 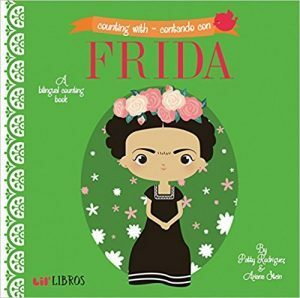 This bilingual board book doesn’t go deeply into Frida Kahlo’s career. It’s a counting book for babies and toddlers, after all. But it shares her work as an artist. The bright colors and elements, reflective of Kahlo’s work, charm little readers. Families enjoy how the pictures of flowers, portraits and more introduce words — in two languages — to their tiny art fans. This book is part of a series, Lil Libros. The series aims to introduce culture and language with bilingual first-concept books. Have an older child who would love to learn about Kahlo’s work? Frida Kahlo and Her Animalitos by Monica Brown and John Parra is another great book about the artist. Have a little one who says “that’s not fair” or “everyone should get a turn” regularly? This book might become a fast favorite! It features Emmeline Pankhurst who fought for women’s voting rights. It has charming drawing and facts sprinkled throughout the book. 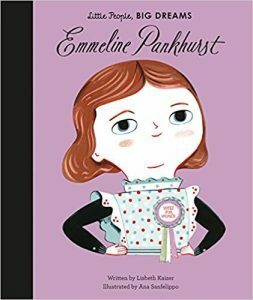 As they read, children learn how books helped Pankhurst decide to change the world. Bonus: The Little People, Big Dreams series features a range of real people. Coming out next spring, they’ll even have a book about Maria Montessori — a key figure in early childhood education’s story! 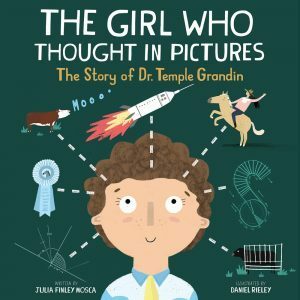 From comedians to scientists, there’s surely a biography to match your child’s interests. This rhyming story provides children with a vision for important work in science AND a way to understand how being different doesn’t mean being less than others. Temple Grandin has spent decades redesigning elements of animal husbandry to be kinder. And she is on the autism spectrum. With the help of her mother, she overcame prejudice to achieve great things. Children who either feel different than others or who have friends and family who do love this book. It provides an example for moving not around but through difference to be successful. One heads-up: families should be prepared for conversations about the source of animal proteins after reading this book. 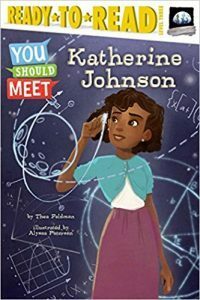 If you’ve seen the film Hidden Figures, then you know Katherine Johnson’s story. She was one of the people who made America’s space program successful. And this book gives early readers the chance to learn how math skills made flying to space possible. Children love reading about this generally unknown key player in NASA’s work. Families appreciate how the book offers a chance to explore American history and resilience. Plus, Johnson’s story highlights how hard work makes exciting things like space travel possible. You Should Meet is a great series that gives young people a chance to explore exciting lives. Two other great series are Who Was…? (including a great one about Clara Barton) and National Geographic Readers Bios (check out the Amelia Earhart one). 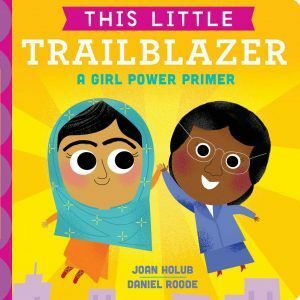 This board book highlights great women in history. Each one has a mini-bio in the form of a poem and a cute illustration. With diverse women, in terms of identity and career paths, it offers a sweet way to share who women do important things. This is a board book that families can return to well into preschool. And it can also serve as a reason to find more books on favorite women. Children love the bright illustrations and rhyming biographies. Families love the wide range of heroines. The Watcher is a great book for any child who loves animals. 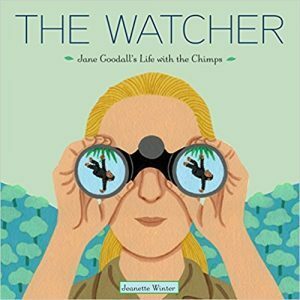 Winter begins the story with Goodall’s childhood interest in birds, a great prompt for nature watching with your little. She then follows Jane from her early days in Africa, with struggles and dedication. She finishes the book with Jane’s role as an international advocate for animals. Little readers will like the images of many corners of the world. Families can use the story as a launching pad for talks about caring for our natural world. Recommended for any child who loves Wild Kratts, zoo visits or quiet observation. Want to keep the career conversation going with your child well beyond the International Day of the Girl? Check out our collaboration with the special 2018 early childhood edition of Learn More Magazine. 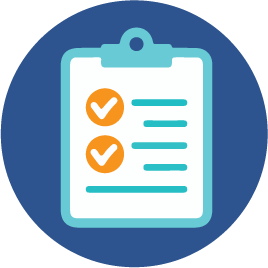 Click here to read it right now or reach out to your local child care resource and referral agency for paper copies! Kirsten Eamon-Shine directs Early Learning Indiana’s communications efforts, including the Brighter Futures Indiana website. She loves telling stories that help adults nurture the curiosity and potential of children. She spent over a decade in the youth development field at IUPUI, the Marion County Commission on Youth and Peace Learning Center, and has diverse experience as a digital communications manager and strategist with community-focused organizations and businesses. Kirsten holds a Bachelor of Arts in History and Political Science from Indiana University. 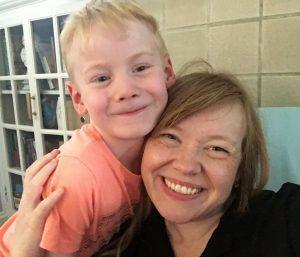 She spends her free time reading children’s and grown-ups’ books, enjoying Indianapolis’ cultural and food scenes, and listening to music with her husband and son Emerson, who is somehow old enough to be in kindergarten. Check out more of her Brighter Futures Indiana posts. Tags: Books, books about girls, books about women, children's books, Girls, International Day of the Girl, U.N.